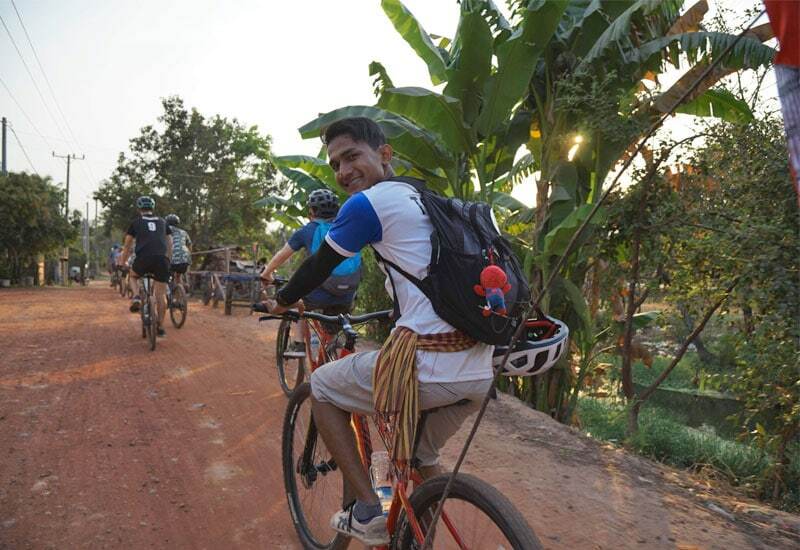 Spend half a day exploring the rural countryside around Siem Reap with this bicycle tour. 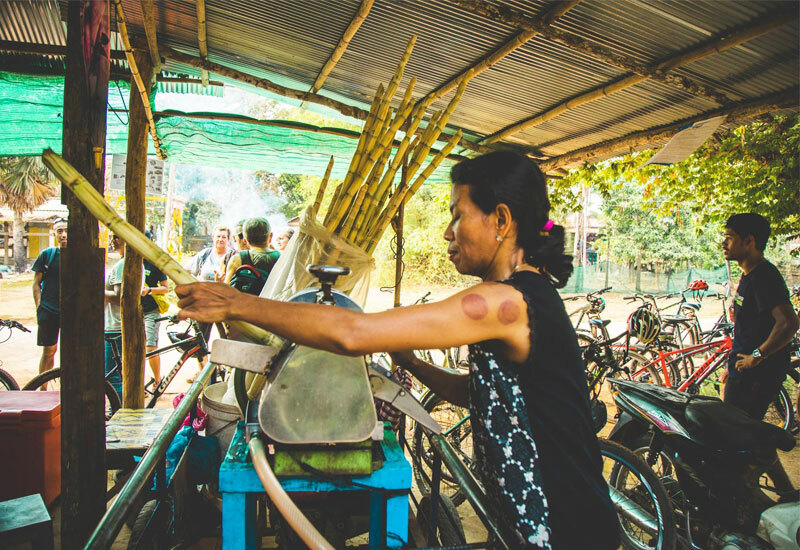 Hop on a bike with our trained guides and head outside the city center to see the authentic local life while freshening up on the local culture and living experience of Cambodian. 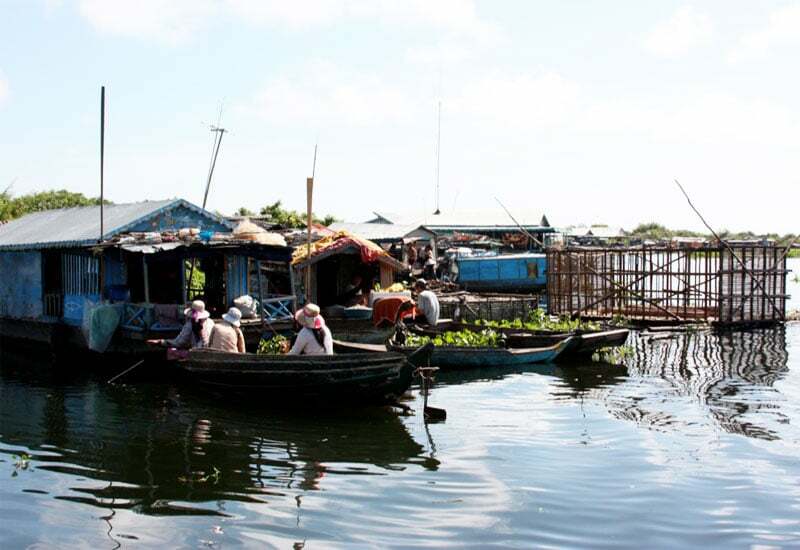 Local snacks, culture, scenery, and local industries – we cover it all! 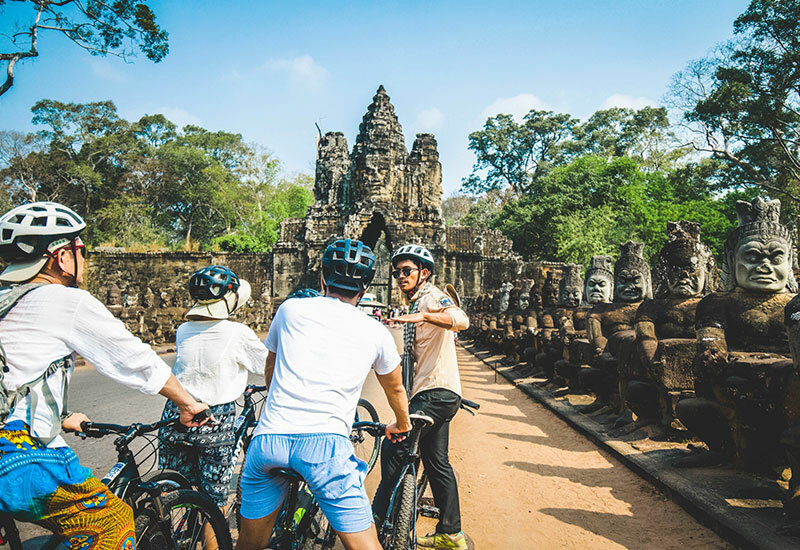 This is the most popular half day tour for anyone visiting Siem Reap done right: Off the beaten path, personalized, local adventure and local guide. You will first be fitted with a bike at the Siem Reaper shop and then given the tour details by your guide. This will also include going over our safety rules. 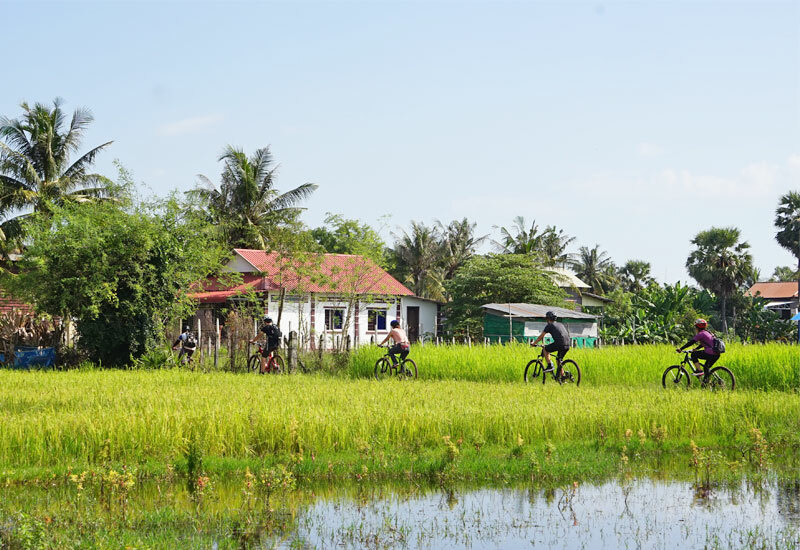 After being fitted with a bicycle and helmet, your English-speaking guide will lead you through back roads, across rice fields and farms, and into small local villages where you’ll learn about how locals live, first hand. 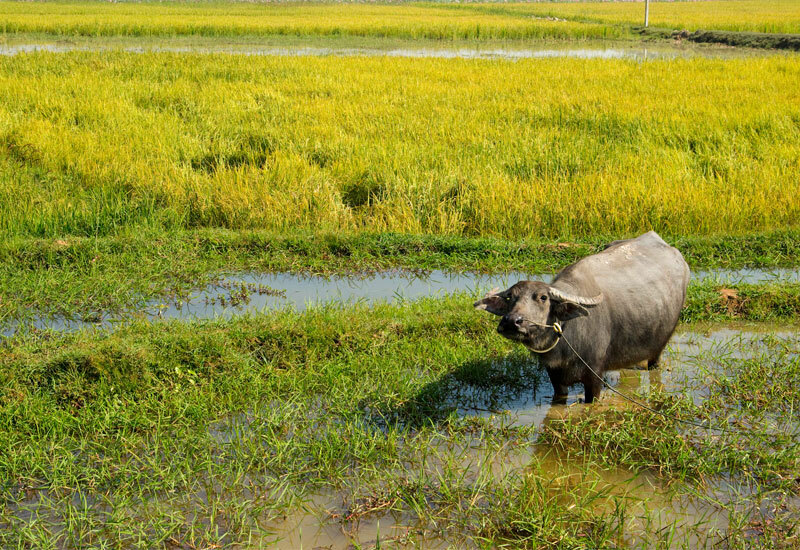 There are multiple scenic places that you will stop, including rice fields, local market, mushroom farm, rice wine distillation, Buddhist temple, lotus farms and village handicraft. 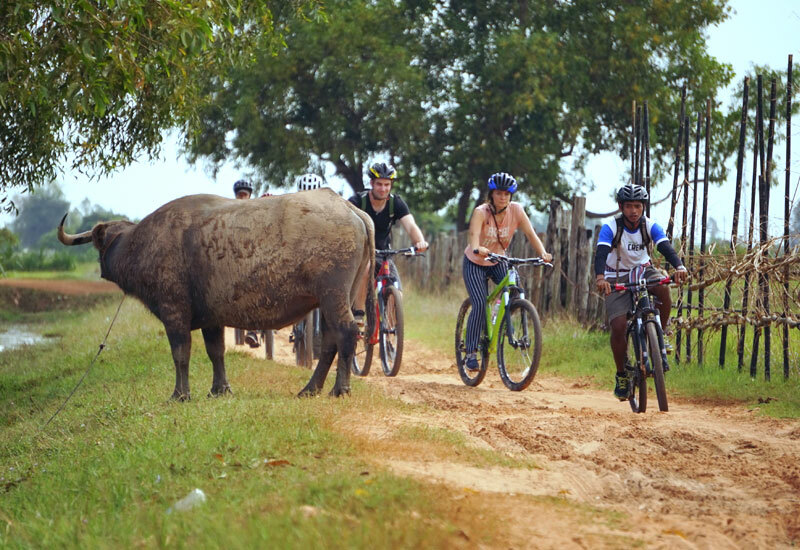 During this ride, we will stop and welcome you to try local fruits and snacks. We’ll arrive back at our office. Don’t forget to give our guides a hug and keep in touch. It’ll likely be an experience to remember, and a new friend made. 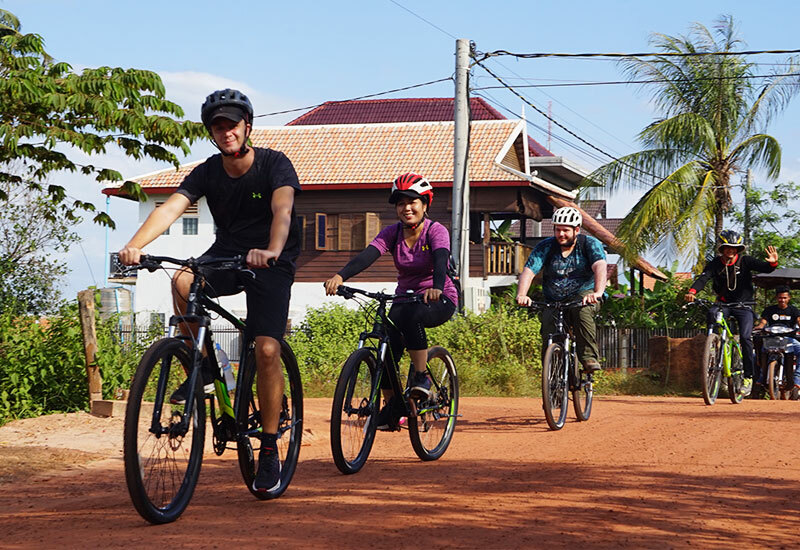 This tour mostly rides on a narrow country lane and dirt road to discover the Siem Reap countryside. 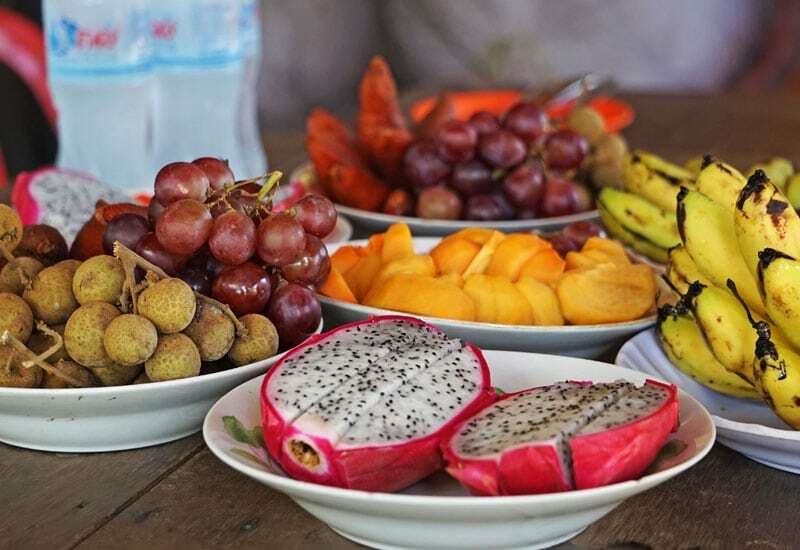 Visit the outdoor market where you'll discover the local specialities and choose the best local snacks and fruits to try. This tour is limited to 8 participants to ensure a more personalize experience for our guide and to ensure you receive the best experience that we commit to. Very good guide pon sokvuth We have seen life in the countryside and visited Bl. A the local market and his village A really good morning tour. 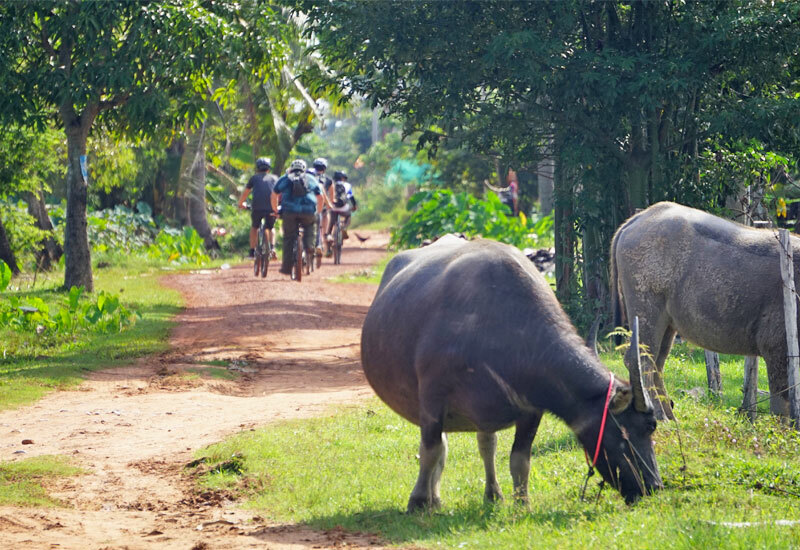 We spent the morning cycling around the country side of Siem Reap, just before the high temperatures really kicked in. 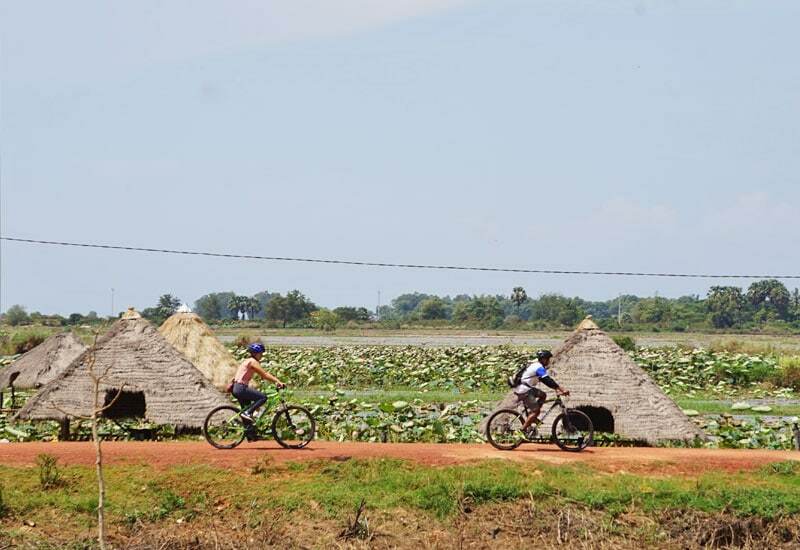 To cycle around there was really pretty, to see the scenery. I enjoyed being away from the bustle of the city for a while. Our guide, Bo explained everything really well for us, answered all of our questions and made sure he was okay. It was like doing something fun with your friends. 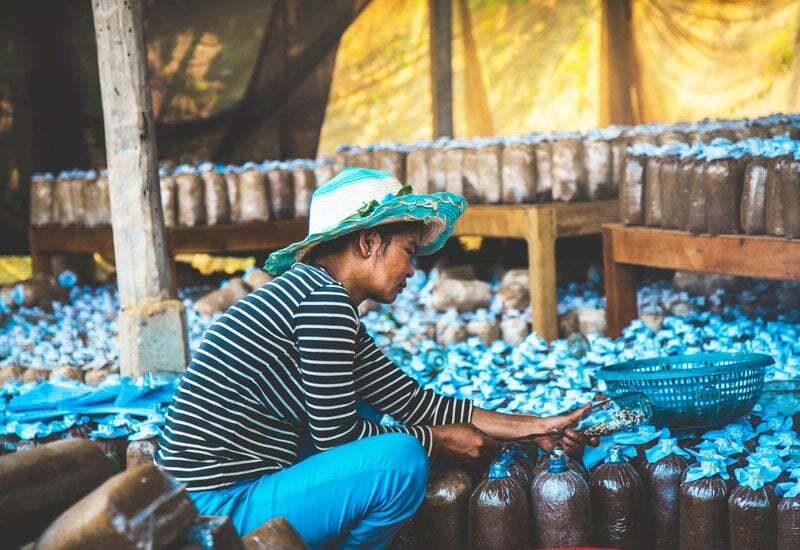 We visited a local market, a temple, a mushroom farm, we had a snack at a lotus farm, we saw good scenery, and more. If you want to do a cycle tour, do it with the Siem Reaper! Our guide Joo and Leak were incredible! They were very friendly, good at English, and took us on a wonderful time. 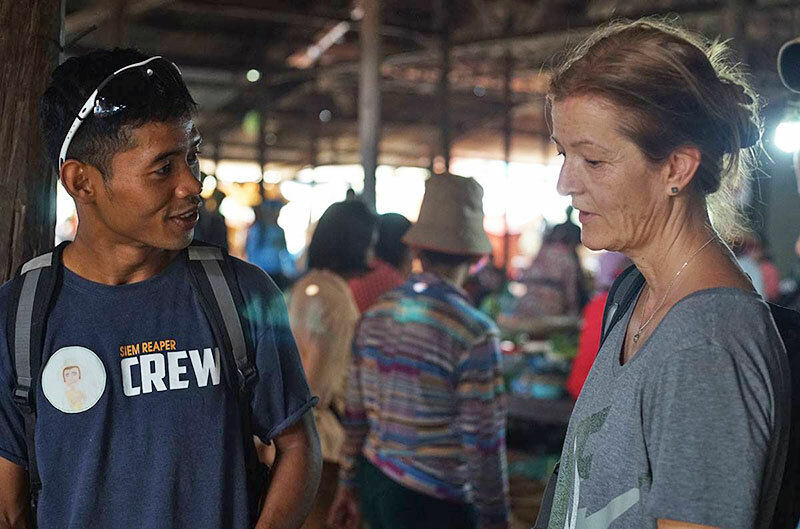 We felt especially good about our tour because at all the local farms and homes we stopped at, our guides gave money directly to them to thank them for letting us visit, so we knew that the cost of the experience was helping local families. Overall, I would highly recommend this tour company and guides Joo and Leak. This was the highlight of our trip in Cambodia.